The US Food and Drug Administration (FDA) today announced its approval of Epidiolex (cannabidiol) oral solution for the treatment of seizures associated with Lennox-Gastaut syndrome and Dravet syndrome, 2 rare and severe forms of epilepsy, for patients 2 years of age and older. Cannabidiol (CBD) is the first drug approved by the FDA to contain a marijuana-derived, purified drug substance. This is also the first FDA approval of a drug for the treatment of patients with Dravet syndrome. The FDA statement highlights that CBD does not cause intoxication or the euphoria that is associated with tetrahydrocannabinol (THC), the primary psychoactive component of marijuana. “This approval serves as a reminder that advancing sound development programs that properly evaluate active ingredients contained in marijuana can lead to important medical therapies. And, the FDA is committed to this kind of careful scientific research and drug development,” said FDA Commissioner Scott Gottlieb, MD. This approval follows the unanimous support of an FDA committee which recommended the approval of cannabidiol oral solution in April 2018. “As a physician who treats LGS and Dravet syndrome, I know that patients and their families usually face significant difficulties getting seizures under control using existing therapies,” Elizabeth Thiele, MD, PhD, director of pediatric epilepsy, Massachusetts General Hospital, professor of neurology, Harvard Medical School said in a statement at that time. More recently, a phase 3 trial of cannabidiol reported that patients receiving 20 mg/kg/day of cannabidiol had a 41.9% reduction in drop seizures compared to a 37.2% reduction in those receiving 10 mg/kg/day and a 17.2% reduction in those taking placebo. Common side effects reported in the 3 trials of cannabidiol in patients with Lennox-Gastaut syndrome or Dravet syndrome included sleepiness, sedation and lethargy; elevated liver enzymes; decreased appetite; diarrhea; rash; fatigue, malaise and weakness; insomnia, sleep disorder and poor quality sleep; and infections. The drug will be dispensed with a Medication Guide that addresses the serious risks of CBD, including suicidal ideation, attempts to commit suicide, feelings of agitation, new or worsening depression, aggression, and panic attacks. “Controlled clinical trials testing the safety and efficacy of a drug, along with careful review through the FDA’s drug approval process, is the most appropriate way to bring marijuana-derived treatments to patients. Because of the adequate and well-controlled clinical studies that supported this approval, prescribers can have confidence in the drug’s uniform strength and consistent delivery that support appropriate dosing needed for treating patients with these complex and serious epilepsy syndromes,” said Gottlieb. CBD is currently a Schedule I substance under the Controlled Substances Act (CSA) as a chemical component of cannabis. 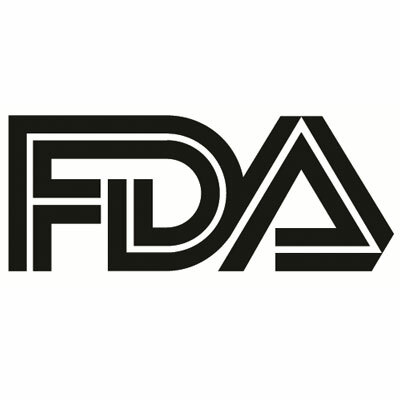 The FDA statement emphasized the “known risks” of marijuana and their commitment to protecting people from opportunistic producers of unapproved products containing CBD. “We’ll continue to take action when we see the illegal marketing of CBD-containing products with unproven medical claims. We’re especially concerned when these products are marketed for serious or life-threatening diseases, where the illegal promotion of an unproven compound could discourage a patient from seeking other therapies that have proven benefits,” said Gottlieb in a statement.